Overnight oats are the best make-ahead healthy breakfast! Here are 4 easy, healthy recipes to keep you from getting stuck in a breakfast rut. I love overnight oats – they’re an easy, healthy, dairy-free, grab-able breakfast, but I have a tendency to get into an oat rut, reaching for the same ‘ol toppings every time. If you feel the same way, here are 4 ideas that will hopefully add some inspiration to your breakfast routine! Overnight oats are the perfect breakfast if you love eating oatmeal in the morning but don’t have time to cook before you head out the door. My base recipe consists of whole rolled oats soaked in almond milk overnight with a dash of maple syrup. In the morning, the oats are soft and easy to digest, and the mixture has a thick, porridge-like consistency that’s satisfying to eat. I like to change them up by using coconut milk instead of almond milk or adding cinnamon, turmeric, or vanilla to the oat mixture. Of course, choosing different toppings is also a fun way to vary your morning oats! How do I make overnight oats? On the night before you plan to enjoy your oats, mix together 1/2 cup whole rolled oats and 1/2 cup plant-based milk. Then add 1/2 teaspoon or so maple syrup and a dash of salt. Stir to combine! Refrigerate the mixture overnight in an airtight container. In the morning your oats will be ready to eat! Transfer them to a bowl before topping and devouring them, or top and take them on the go. 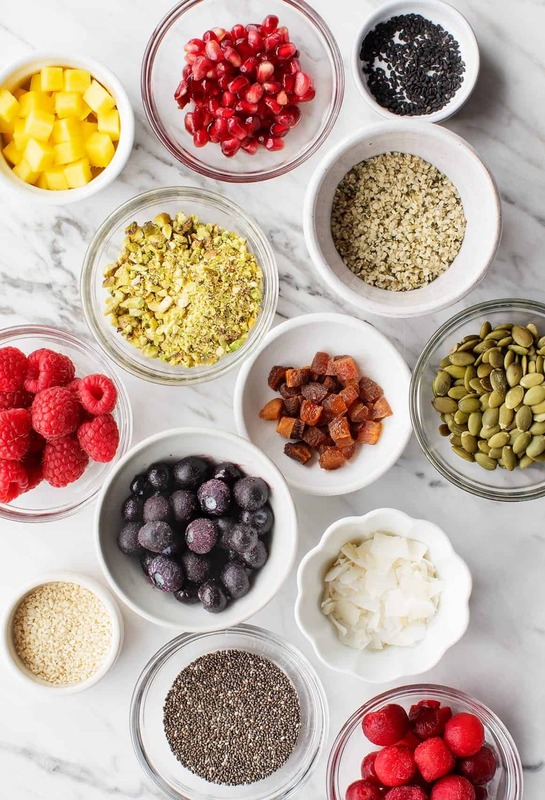 These are the toppings I started with to create these 4 overnight oats combinations – how pretty are all of these healthy ingredients! Use a Mason jar for oats on the go. 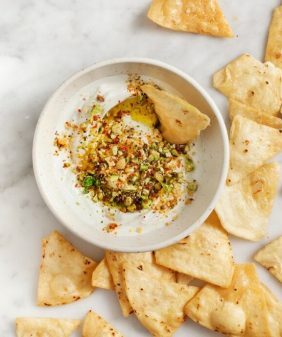 The lid seals tightly, the jar isn’t too big or bulky, and its narrow shape keeps most of the toppings separate from the oats until you’re ready to eat. Refrigerate your oats plain and top them in the morning! That way, dried fruit stays chewy, and nuts and seeds are crunchy, not gummy. Prep a big batch ahead for oats all week! Store individual servings in Mason jars and use different toppings each day. Have fun! 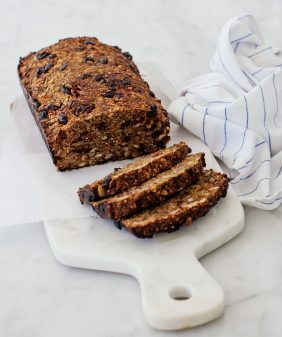 I hope you love these 4 recipes, but experiment with different in-season fresh fruit, dried fruit, nut butters, spices, etc. A classic antioxidant-filled combo. Since it’s wintertime, I used frozen fruit (tart cherries and blueberries) in my bowls. Then, I topped them with Greek yogurt, chia seeds, and a drizzle of maple syrup. An unexpected breakfast bowl filled with anti-inflammatory spices. Before I refrigerated the oat bowl base, I stirred in turmeric, cinnamon, and coconut milk. In the morning, I topped it with mango, dried currants, hemp seeds, and coconut flakes. I love tahini so much that now I’m eating it for breakfast! Not only does this bowl look pretty, but it couldn’t be simpler to put together. Just drizzle tahini on top of the oats and top with pistachios, dried apricots, pomegranates, sesame seeds, and a drizzle of honey (or maple syrup, if you’re vegan). If you’re trying to get your kids (or husband) to eat oats, this one is for you :). Who can resist that big swirl of almond butter with chocolate chips? I flavor this base recipe with a dash of vanilla extract for extra cookie flavor. Want more make-ahead breakfast ideas? Try these cookies, these muffins, or these little frittatas. And for more oat-y goodness, try this Baked Oatmeal with Blueberries! 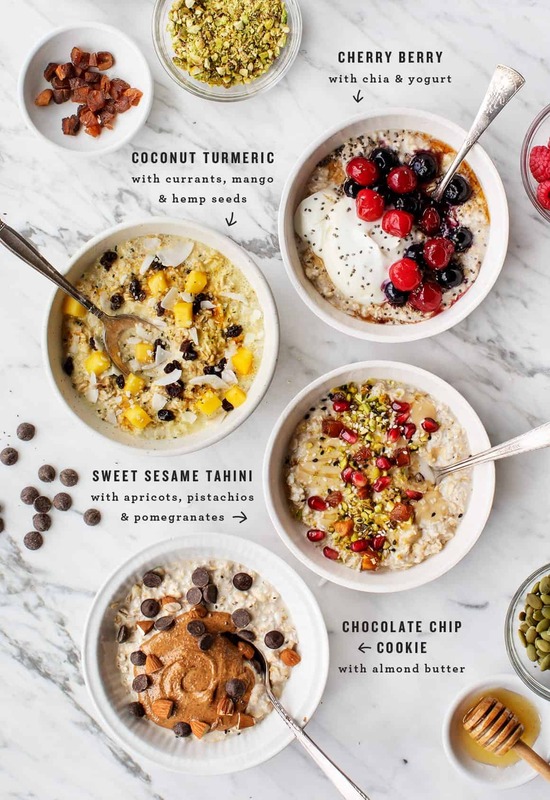 Make any of these 4 healthy overnight oats variations for a quick & easy breakfast, or prep a batch of oats at the start of the week and dress it up with different toppings each day! 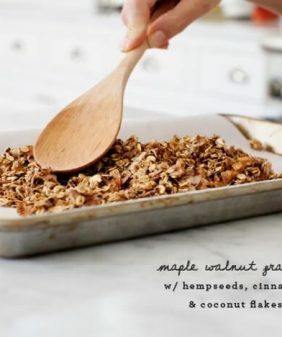 In a small jar, combine the oats, almond or coconut milk, maple syrup, and salt. Stir and chill overnight. In the morning, scoop the oats into a bowl, stir in more almond or coconut milk, if desired, for consistency. Top with desired toppings. Alternatively, for a grab-and-go breakfast, you can assemble the overnight oats in jars with the toppings the night before. 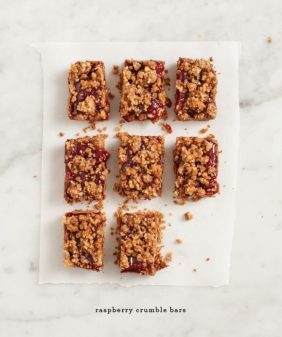 Make these vegan by using maple syrup in place of the honey. Note: If you’re gluten free, be sure to use Certified Gluten Free Oats. Thank you for posting this. We love overnight oats, because they are both easy and tasty. I always put a scoop of protein powder (I use Designer Whey naturally sweetened) in mine because we need to make sure we get enough protein. I will definitely be trying at least the coconut/turmeric variety (and hope that my husband likes it – it’s possibly a bit weird for him). Hi Susan, I hope you enjoy the toppings! Hello, I like to soak oats to make them more digestable and less likely to cause bloating. If the oats have been soaked are there changes to be made to your overnight oats recipes? Thank you! Hi Mary Kay, the oats soak overnight (and last up to 3 days in the fridge), so the soaking part is already taken care of in this case. Does that make sense? I wouldn’t soak them before combining with the milk. Hope that helps! I love steel cut oats. I make a week’s batch in my pressure cooker. I love your variety of toppings and look forward to mixing it up a bit. Thanks for the great ideas! Could we use quick cooking steel cuts oats instead of the whole oats? Hi Diane, I’ve only made overnight oats with whole rolled oats – I think it should be ok but I haven’t tried myself. I love the idea of these recipes – they look amazing! What are alternatives to the oats, which can be inflammatory and are high carb? 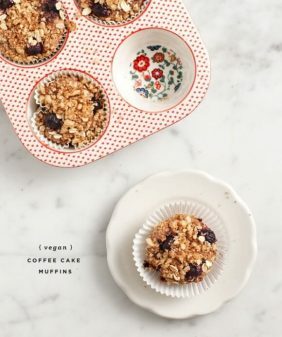 Can these be done solely with chia, or hemp seeds? I’d love some ideas on how to keep these great flavors and the overnight convenience, and strip out some carbs. OMG! These all sound so good—so hard to choose! I love overnight oats. 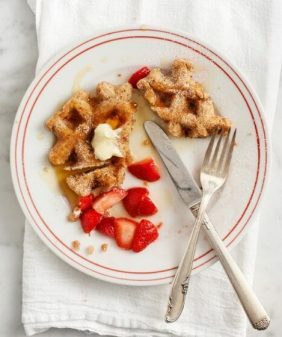 They are some of the quickest and delicious breakfast ever. Do you have any suggestions for substitutions for the almond milk? My son is allergic to cow’s milk, almonds and coconuts. Do you think oat milk would work? Or possibly cashew milk? Thanks! Hi Jamie – any milk should work just fine! Chocolate chip cookie? Yes, Please.